Student of the Month: Congratulations to the following students who are nominated for Student of the Month! You will be recognized today at 11:10 in the Media Center. Chess Club will be meeting today after school from 3-4:30 in room 108, Mr. Byerly’s room. Bring $5 for pizza if you want to eat. Have your ride at the school promptly at 4:30 after we get done playing. FCA will be meeting from 7:15 to 7:45 in room 108, Mr. Byerly’s room. Come join in on the games, doughnuts and fellowship. See Mr. Byerly, Miss Litt or Mr. Stepp with any questions. Hope to see you there. HMS School Scoop!! : There is a new link on our school’s web page!! It is called HMS School Scoop!! The Creative Publications class At HMS will be posting stories related to our school and surrounding community. Please check out the most recent reviews and stories about Mr. Trombitas, Mr. Gaston and Mrs. Mendenhall. You might learn a few things about our fearless leaders that you never knew before!! These stories will be available for your viewing beginning on the Monday after Spring Break, April 1st. 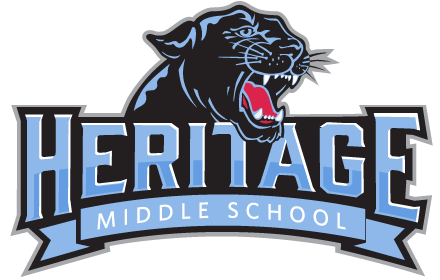 Please check out this site on a regular basis as new stories will be added about other teachers, students and events going on at The Heritage!! This award is given to one middle school male and one middle school female athlete from each school in the Ohio High School Athletic Association, and is the highest honor an athlete can achieve from our school. For more information, visit the Heritage website under Athletics on the Archie Griffin Sportsmanship Award page. You can download an application from the page or visit the Heritage Front Office.